Enjoy no minimum balance and no monthly service charge on our checking account. You can access more of your money and save with no monthly fee. We accept direct deposit to make banking even easier. Time and money saving features of our checking account include no monthly service charge, no per check fees, no minimum balance required, and overdraft protection* with automatic transfer from your Regular Share (Savings) Account. When you open your share draft checking account, you will receive your first box of 50 checks, which are free of charge, with your first order of checks. 6 Free Overdraft Transfers*, per month, from available share account funds to avoid NSF’s. 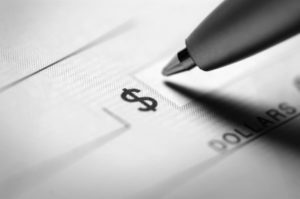 NEED TO REORDER YOUR CHECKS? Harland now offers 24-hour personal check reordering and online order status information. It’s Fast, Easy and Secure! You can actually build your check from the ground up. Try out a different check style. Experiment with different type-styles. Test an accent or two. Try a signature line that captures you in a few words. Add a cover. Check out shipping rates. You can always start over. You’ll see all the personalization before you submit your order. What’s more, you’ll know exactly how much will be debited from your checking account before you finish your reordering session. You can access this service any time, day or night! Please have your reorder identification number ready and the number you would like your checks to start out with. Both can be found in your box of checks. Simply click here to reorder online from the comfort of your home or office. The credit union will transfer, at no charge, from your available savings account funds to your checking account a maximum of six times per month to cover non-sufficient funds in your checking account, if the funds are available from your savings account. We also offer overdraft protection plans, such as a transfer from a share account, which may be less expensive than our standard overdraft practices. To learn more about these plans click here for more information. This attached notice explains our standard overdraft practices. Need help with your checkbook? Please check out the following page to help get you back on track.